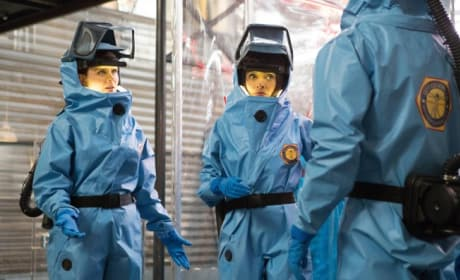 Brennan and Cam work to prevent an outbreak that may be behind a murder on Bones. "The Pathos in the Pathogens" is the 23rd episode of the show's eighth season. 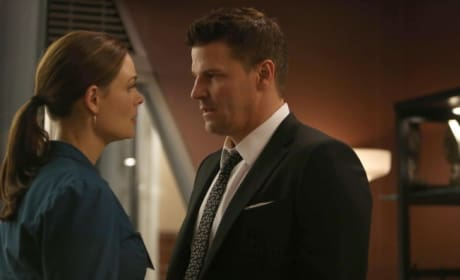 Brennan and Booth try to figure out the diamond connection to their latest victim on Bones. " The Blood from the Stones" is the 20th episode of the show's eighth season. 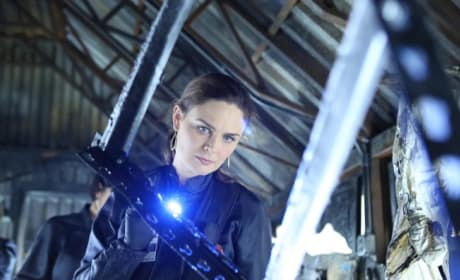 Brennan inspects a doomsday bunker that becomes part of her investigation on Bones. "The Doom in the Gloom" is the 19th episode of the show's eighth season. 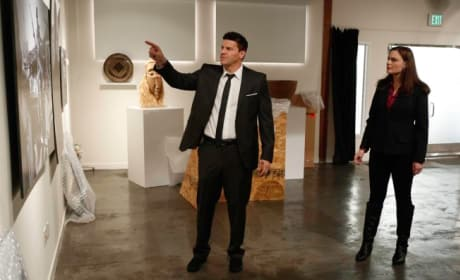 Brennan and Booth in the March 4, 2013 episode of Bones. 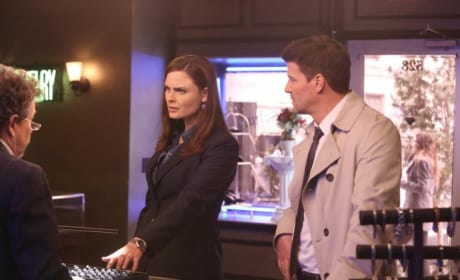 Booth and Brennan in "The Fact in the Fiction." 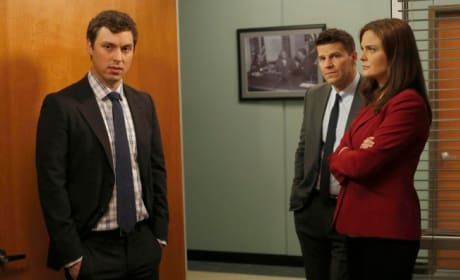 The team learns some upsetting news about a victim on Bones. "The Friend in Need" is the 16th episode of the show's eighth season. 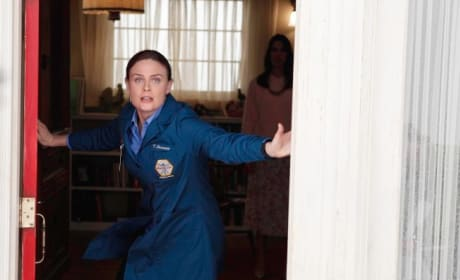 Bones is fighting to return to her family on this episode. It's titled "The Shot in the Dark."